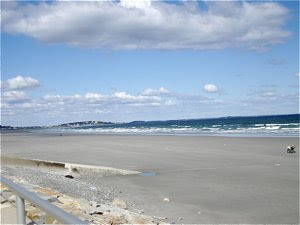 My cousin and I went for a spin one day, and we ended by Nantasket Beach in Hull. After admiring the fish market at Jake's Seafood, we ended up in the restaurant / diner. Here I was served lobster meat in a wrap. Delish!!! 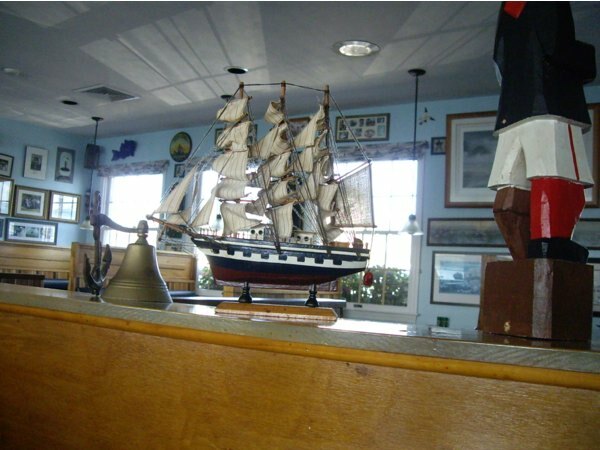 Jake's Seafood is located in Hull, a community located on a long narrow peninsula on Boston's south shore. 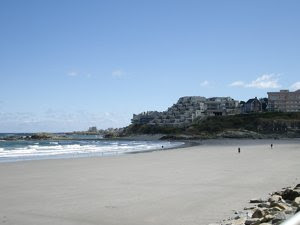 It used to be a busy seaside resort during summer, as its Nantasket Beach is one of the most beautiful beaches in the area. Hull has experienced what many other summer resorts has the last years. Even busy during summer, much of its seaside businesses have disappeared and many buildings have been left in disrepair. The whole area is waiting for a new dawn. This as Hull is close to Boston and accessible for those of you without cars. You can take a ferry service from the city harbour, and visit Jake's Seafood. The staff gives you good service with a smile, and you can order and are served your food swiftly. The interior underlines its proximity to the ocean as a whole range range of maritime and seaside objects mixed with fish or seagulls on pale blue walls. It feels like a diner by the sea, correction; Jake is a seaside diner. This reflects its impressive menu, where you may pick appetizers, soups, salads, hot dishes all made with fresh shellfish, mussels, and fish. At Jake's Seafood they serve lobsters steamed, deep fried steamed or cold, in stews, in a bun, or in a salad. I chose mine neatly cut and served as a lobster wrap. I loved the idea of eating the delicacy in this way, with crunchy salad leaves, tomatoes and dressing. 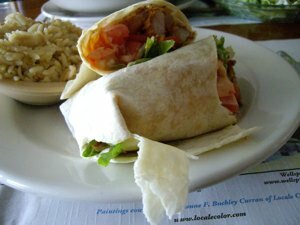 The soft and sweet meat tucked in an equally soft wheat tortilla. Great stuff. The only thing I did not understand was it served with rice. I tasted the little side dish but concentrated immediately on the wrap and left the rice where it was. 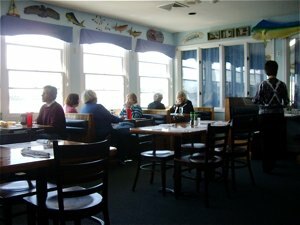 Jake's Seafood is a great place to dine on the South Shore. Although located in a slightly depressed neighbourhood, this small community has potential. It waits for a new dawn. Accessible for tourists by boat from Boston Harbour. Enormous seafood menu offer appetizers and entrees at decent prices. Recommended if you would like to take a day-trip. Ask at you hotel how you get to Hull. Enjoy!